Mumbai, May 9: Our mind has the tendency to get distracted easily and over think. Meditation reduces all these thoughts & helps improve focus says Spiritual Guru Sri Sri Ravishankar on the upcoming occasion of World Meditation Day on May 13. 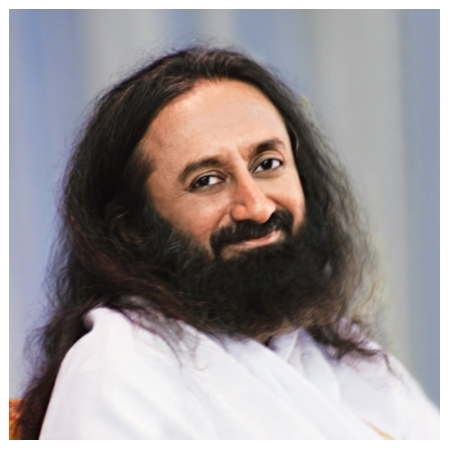 The best example of transformation is that the meditation techniques developed by Sri Sri Ravishankar have helped 700,000 prisoners to overcome feelings of guilt and anger, given them a sense of peace and hope for the future. He has appealed to all to join and experience the power of meditation on May 13. 1. Choose a calm and quiet room or place. 2. Keep the space clean. 3. Keep the space well ventilated. 4. Bring plants into your space. 5. Choose comfortable mats or cushions. 6. Keep your mobile phone and electric gadgets away.